The following is intended as a guide for speakers who will introduce Washington State University President Kirk Schulz and First Lady Noel Schulz at public and private events. If the individual introducing the Schulzes has a personal connection with them, we encourage the use of personal anecdotes. Please keep introductory remarks brief. Kirk Schulz (pronounced Shults) is beginning his second year as president of Washington State University. 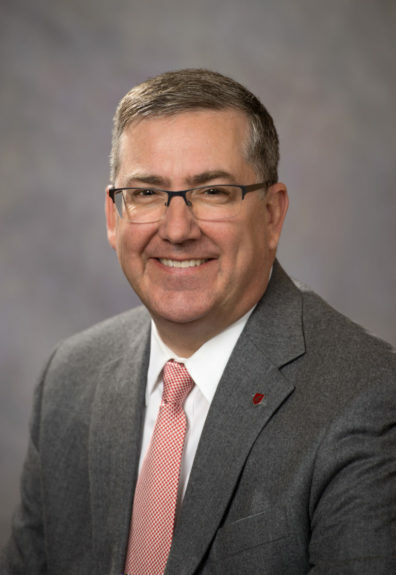 He became the 11th president of WSU and a tenured professor in the Gene and Linda Voiland School of Chemical Engineering and Bioengineering on June 13, 2016, after a seven-year tenure as the president of Kansas State University. A successful launch of the Elson S. Floyd College of Medicine is also high on the list of the president’s priorities. Created by the legislature in 2015, the college received national accreditation in October and welcomes the inaugural class of 60 medical students in August. President Schulz has emphasized listening to the Cougar Nation since he arrived at WSU. He meets regularly with faculty, staff, students, alumni, and other members of the Cougar family—across the state and beyond—as he partners with others to build upon the University’s recent successes. Ladies and gentleman, please welcome President Kirk Schulz. 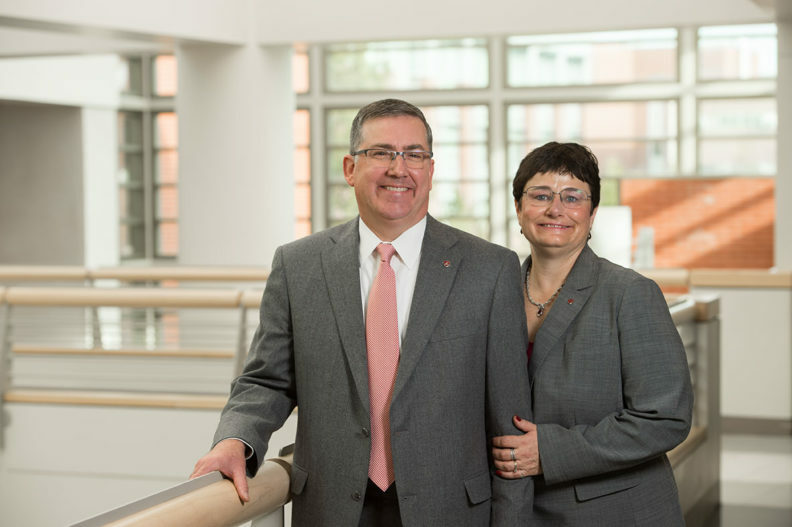 Kirk and Noel (pronounced Noll) Schulz (pronounced Shults) became Washington State University’s first couple on June 13, 2016, following 7 years in the same role at Kansas State University. As KSU’s president, Kirk guided the university to a number of significant achievements in research, enrollment, and fundraising. In addition to her duties as first lady, Noel served as associate dean for research and graduate programs at the KSU College of Engineering. President Schulz is guiding WSU’s transformation into one of the nation’s top 25 public research universities, a university distinguished by exceptional research and innovation that improves our quality of life. He has also pledged a university-wide focus on providing a transformative educational experience for students—to ensure their success in the classroom and after graduating from WSU. A nationally recognized expert in power systems engineering, Noel Schulz is also a professor in WSU’s Voiland College of Engineering and Architecture. She shares the stage with President Schulz at many functions. Ladies and gentleman, please welcome President Kirk and Dr. Noel Schulz. 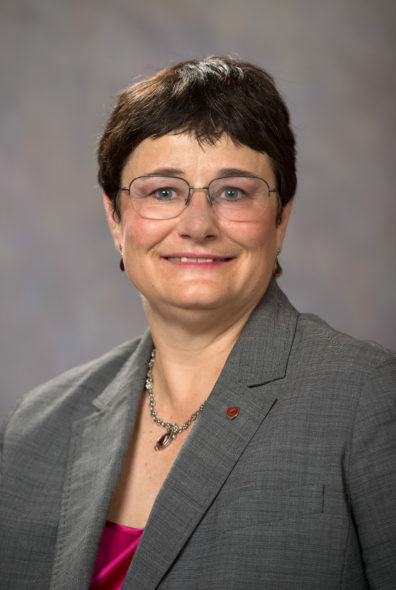 Noel (pronounced Noll) Schulz (pronounced Shults) became Washington State University’s first lady and a professor in the Voiland College of Engineering and Architecture on June 13, 2016, when her husband Kirk assumed his duties as the University’s 11th president. The Schulzes joined WSU after serving as president and first lady, respectively, for 7 years at Kansas State University in Manhattan, Kansas. A nationally recognized expert in power systems engineering, Dr. Schulz was associate dean for research and graduate programs in the KSU College of Engineering and the Paslay Professor of Electrical and Computer Engineering. Dr. Schulz received the Hewlett-Packard Harriet B. Rigas Award from the Institute of Electrical and Electronics Engineers in 2014, honoring her contributions to advancing the recruitment of women and retention of women in IEEE and the engineering professions. She has been actively engaged in recruiting and mentoring women in engineering and initiated faculty networks for women at two universities. Dr. Schulz brought more than $10 million in external research funding to Kansas State through individual and collaborative projects. Her research, which focuses on the use of computers, including intelligent systems, to solve problems in power system design, operations, and controls, has been funded by a variety of agencies, including the National Science Foundation and the U.S. Departments of Defense, Energy, and Homeland. She earned bachelor’s and master’s degrees in electrical engineering at Virginia Tech and a doctoral degree in the same field at the University of Minnesota-Twin Cities. Ladies and gentleman, please welcome Dr. Noel Schulz.